Kenya has one of the most developed gambling industries in Sub-Saharan Africa. A gambling industry that was born in uncertainty and out of instability has grown into being a beacon of gambling excellence in Africa. An online gambling industry that was the brain child of the Betting Control and Licensing Board has now grown into a major contributor of revenue to the government. Kenya is a great model for online gaming that African countries can copy. The Kenyan legal structure regarding gambling is very clear. Its clarity allows Kenyans to enjoy a wide range of gambling opportunities. The idea to amend gambling laws so that they regulate online casinos may have been inspired by gambling revenues in excess of US$3 Million per year. Such levels of revenue would be a breath of fresh air to most cash strapped African governments. The administrative body responsible for regulating all forms of gambling in Kenya is the Betting Control and Licensing Board (BLCB). This board has been in regulating gambling in Kenya for the past 50 years. It is generally agreed that the board has been doing a fantastic job as evidenced by the flourishing of the Kenyan Gambling industry. For a long time there were no regulations governing online gambling. It was basically illegal to operate an online casino in Kenya. Only after the regulatory board noticed the growth of online gambling as a hobby of choice internationally did they move to legalise the activity in Kenya. Online gambling only became legal in Kenya during 2011 as stated by the Betting Control and Licensing Board The BLCB established the countries first online casino. The government operated online gambling service provider offered Sportsbook and Casino services. 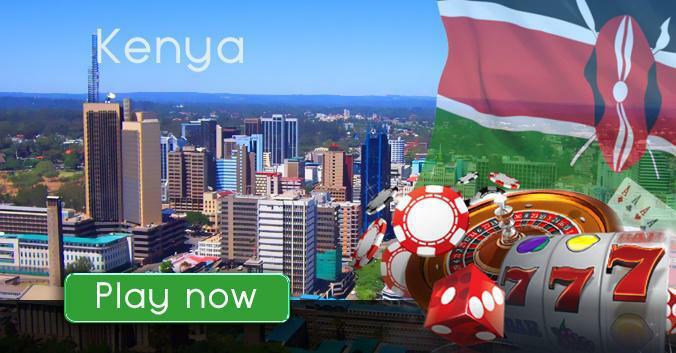 This online casino was initially restricted to Kenyan players only. For some time this was the only place that gamblers in Kenya could access online gambling services. With time the regulatory authority began to allow privately owned online casinos to operate in Kenya. For the first time residents of the wealthy East African country could enjoy online casino games, online sports betting and online lotteries with piece of mind. The Betting Control and Licensing Board is determined to provide a safe and secure gambling environment for the country's residents. It is constantly changing and amending legislations so that the laws remain relevant to the industry. They laid strict regulations and compliance requirements for online gambling operators that wish to operate in Kenya. These laws guarantee that Kenya's residents get to enjoy premium quality online gambling without worrying about their safety. As previously mentioned the BLCB takes extraordinary measures to ensure that Kenyans enjoy fair, transparent and safe online gambling. Getting the approval of the BLCB is very serious business. Online casinos need to have eCogra certification. They need to be approved by eCommerce and also by Online Gaming Regulation and Assurance. These are organisations that conduct random checks of fairness and safety. Once these international online gambling watchdogs approve of the casino then the BLCB will consider the casinos application. Kenyan residents trying to access illegal casinos are redirected to the government operated gambling site. There have been a lot of running battles in the Kenyan Gambling sector concerning taxes. There is no clear taxing regime for casinos in the country. The Finance Act has been amended three times since 2011 because of the arguments that arose due to proposed taxing regimes. However the government of Kenya collects more than KES 3 billion in taxes from the casinos operating in Kenya. Gambling has always been a popular pass time for people in Kenya. People have since been seeking games of fortune both as a means to relax and as they chase after that elusive life changing jackpot. They have been playing table games, video slots, classic slots, poker and bingo in brick and mortar establishments. Sports wagering was popular long before online sportsbooks were available in Kenya. Online scratch cards and lottery tickets where the first online gambling options that were available in Kenya. Once the Betting Control and Licensing Board opened the doors to online gambling operators the industry just boomed. Most of the people accessing the online casinos are doing so via their mobile devices. There are few players that are playing over fixed Internet services. The rapid growth of the mobile telephone industry has directly led to a growth in the online gambling industry. There are several millions of mobile phone users who use their mobile devices to access the Internet. Mobile Internet is available on 3G, 4G and Wi-Fi connections. These connections can be accessed on Android, Symbian, BlackBerry and iOS operating systems. The countries mobile operators offer the Internet speeds required for an optimal online gaming experience. Online gambling offers a convenience that is unimaginable in brick and mortar establishments. Players can gamble any time of the day since the casinos are open 24/7. Mobile gaming makes it easy to access gambling services. There is no longer a need to travel to place a sports bet or to play a couple of hands of blackjack. All this can be done from the palm of one's hand while they commute or they are on their lunch break. It is these characteristics that have driven the people to online gambling. Online lotteries, scratch cards and sports betting are the most popular forms online gambling in Kenya. Wagering online on international football matches has become very popular. The English premier league is the most popular league to bet on. Online casino games are also very popular and the demand for these games is on the increase. The government of Kenya predicts an increased revenue collection from the online casinos over the next couple of years. All this is founded on the steady growth that the Kenyan economy has enjoyed over the years. Political stability has led to the increase in telecommunication infrastructure that has made online gambling possible. Yebo casino allows players to deposit and withdraw funds in Rands, a universally accepted currency in Africa. There are several money transfer options that are available here at Yebo casino. The deposit and withdrawal methods include Electronic Funds Transfer and the use of the e-wallet Skrill. Debit and credit cards can be used only deposit funds. The casino offers a R12,000 match up welcome bonus that players can use to wager and win real money. There are several video slots with progressive jackpots. These include Aztec's Millions and Cleopatra's Gold. Yebo casino has several versions of online roulette, blackjack and poker to choose from. Also on offer are some of the best classic slot and video slot titles at online casinos. The Yebo mobile casino has more than 25 games to choose from including blackjack, roulette and video slots. More titles are added to the casino every month.